The world is a dangerous place and there are any number of hazards that you could face while driving your car. A collision with another vehicle, vandalism, even samsh and grab robbery. Get protected and keep yourself, and your family safe with an installation of security film from Mr Tint. Mr Tint's range of safety films can give you the protection you need while driving. Road collisions happen everyday and can cause severe injury. An application of safety window film can minimise your risk. Very tough and durable, these window films will prevent the glass from being smashed, and even if the window is broken, the extra strong bonding adhesive holds the glass together reducing the risk of injury from flying glass. We also have a range of security window films which are tougher than standard safety film. Security films are designed to prevent glass from breaking during an attack on the glass. They work by strengthening the glass and preventing it from flexing beyond its shear point. 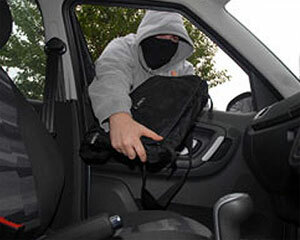 Security films also work by absorbing the impact to the glass and these properties make it extremely difficult to break the glass keeping would be robbers out of your car, and keeping you out of danger. Clear - for an invisible barrier that keeps you safe. Tinted - to add a touch of privacy that keeps your valuables out of sight. Reflective Silver - Ideal for commercial vehicles to conceal tools without making it look obvious. Be safe on the road...An installion of safety or security window film is a simple and cost effective way to protect you and your family.